Plots from the WACR-ARSCL value-added product show reflectivity best estimate (top) and mean Doppler velocity (bottom) as captured February 22, 2017, during the LASIC field campaign on Ascension Island. Evaluation data for the W-Band ARM Cloud Radar-Active Remote Sensing of Clouds (WACR-ARSCL) value-added product are now available for the ARM Mobile Facility deployment to Ascension Island for the Layered Atlantic Smoke Interactions with Clouds (LASIC) field campaign. Data from the South Atlantic Ocean field campaign are available from October 2016 to February 2017. WACR-ARSCL provides cloud boundaries and best-estimate time-height fields of radar moments. WACR observations are corrected for velocity aliasing, then significant detection masks are produced. 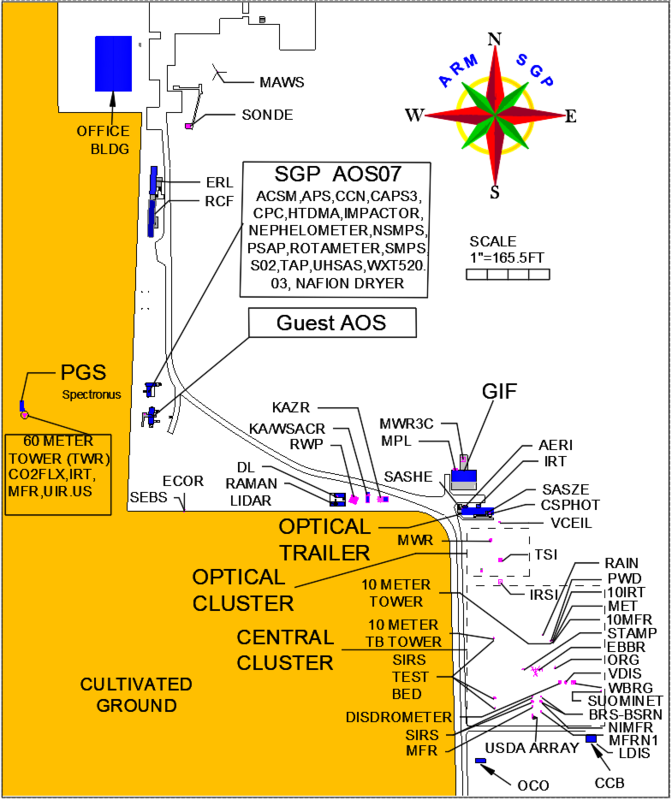 The corrected WACR measurements are combined with observations from the micropulse lidar, ceilometer, soundings, rain gauge, and microwave radiometer, low-level clutter is identified and removed, and two datastreams are produced. The asiarsclwacrbnd1kolliasM1.c1 datastream contains cloud base and cloud layer boundaries, while the asiarsclwacr1kolliasM1.c1 datastream includes best-estimate time-height fields of radar moments. More information on the evaluation data is available in the README file that accompanies the data files in the ARM evaluation area. During this evaluation period, please send any comments and suggestions related to the product to Meng Wang, data product developer. Such feedback will assist in improving the product before its full release.